The Asus ZenWatch was announced back in September at IFA, but while we know that’s it’s expected to arrive this year for less than £200, we don’t yet know the official launch date. What we do know is that the Taiwanese company is getting ready for its arrival as a trio of new Asus Android Wear-based apps have hit Google Play: Asus ZenWatch Manager, Asus Remote Camera and Asus Wellness. Asus ZenWatch Manager is very much like the Motorola Connect app that teams up with the Moto 360. It offers customisable watch faces, a find my watch alert, a cover to mute function and an SOS message alarm. It also, much like the Pebble Locker app, offers ZenWatch wearers the opportunity to unlock their paired smartphone without the need for a password when the ZenWatch is in close proximity. The Remote Camera app, which works with non-Asus smartphones and smartwatches as well, turns the ZenWatch into a viewfinder for your mobile’s snapper. Finally, the Wellness app is the one that Asus made a big song and dance about during the IFA unveiling of the its new smartwatch. It tracks the usual stats like steps, heart rate and calories burned but we can’t help but feel in a world alreay featuring health platforms from the likes of Microsoft, Apple and Google – which integrate a number of third party services – Asus’ effort is pretty unneeded. Still, it’s great that it clearly has big plans for its Android Wear debutant. We just hope it hurries up and releases it…. 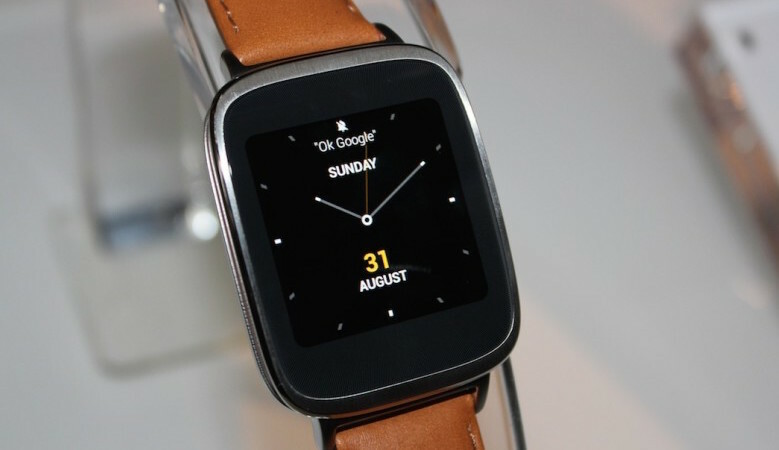 While you wait, check out our Asus ZenWatch hands-on review.